I used @kadsnailart Ocean 003 stamping plate for this mani 💙 A lovely plate with various cute ocean designs. The image picks up very well on this plate 👍🏻👍🏻 I recommand! 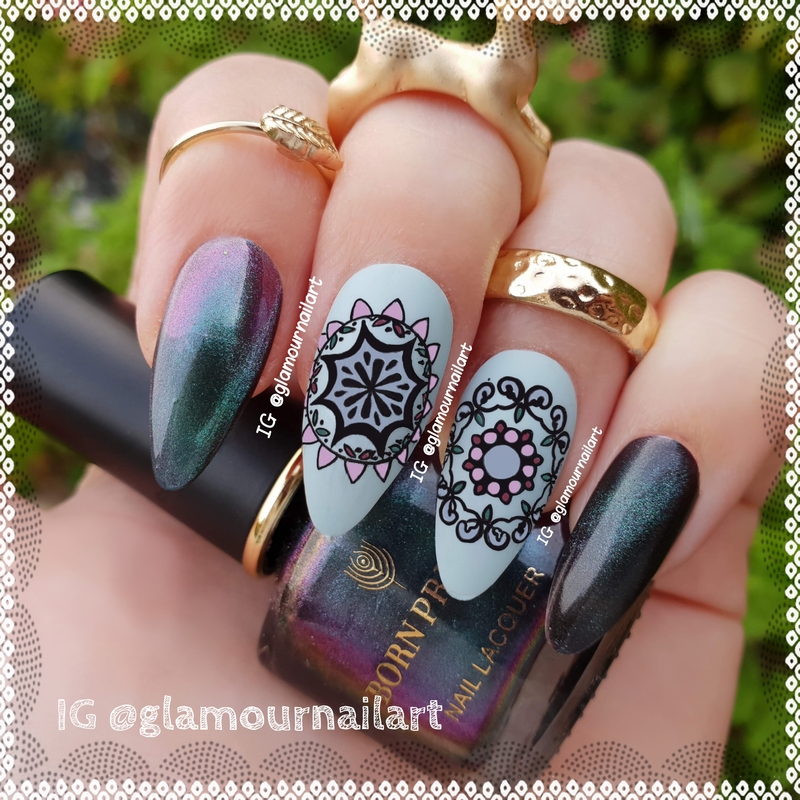 I used @bornprettyofficial Arab passion L002 🖤 stamping plate (item number 44326). I applied 3 coats for this swatch. @daily_charme Wild Geranium / Pink🌸🌸🌸 #charm is lovely and classy. All @daily_charme are reusable and are curved on the back to fit the surface of your nails. This is really handy tool to trim and file your nails. It works great on natural and acrylic nails. You can adjust the speed just by rotating the button 👍🏻 Check out the beautiful and handy purple naildrillholder💜 so handy to place your drill handle on.